It's Wednesday and we all know what that means! 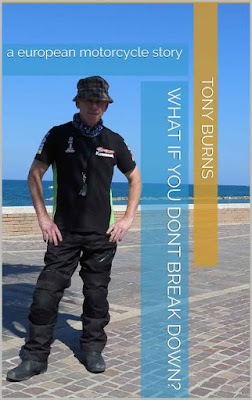 Yes it's time for more reading, and chatting to authors, this week I'm talking to Tony Burns. I'll let Tony introduce himself to you. I’m a father of two and grandfather of three and live in Manchester. I retired from full time paid work just over three years ago. I worked in a large Government Department as a Programme and Project Manager. It was a job I loved, but my wife and I always planned to leave full time work early and so I quit when I was 55, I left simply because I could and because I wanted to do different things. I’m a keen football fan (Manchester City season ticket holder), ride motorbikes whenever I can, I’ve currently got four in the garage, although I’m planning on selling one of those this year. I’ve written a couple of books (travelogues), both in the Travel genre and I expect to write at least a couple more. Welcome to the blog Tony, with summer approaching it's rather nice to have a Travel Writer onboard. That’s a good question. Formally and in terms of books then I suppose that was pretty recent and was really only the middle of last year. But I have always kept notes and journals when I have travelled. (ooh I keep travel journals too - great to look back on. You've reminded me to blog my Egypt trip!) 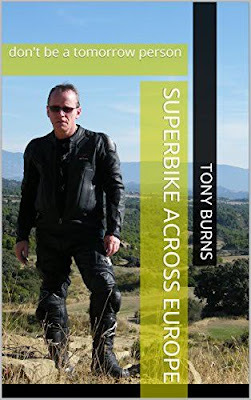 One of my passions is motorbikes, it has been for most of my life and I have travelled pretty extensively in Europe. I think I’ve done maybe about 16 European road trips and always wrote updates home, and kept pretty detailed notes, along with many thousands of photographs, so it sort of made sense to get some of these written up now that I have a little more time. As my books are Travelogues, there really isn’t a main character, my journeys and travel are recounted through my eyes – so both books have the underlying theme of if there is something you want to do, then just do it rather than sitting about putting things off. Any day when Manchester City win and Manchester Utd lose will always make me smile. My Grandchildren make me smile, laugh and appreciate life almost every day of the week. Watching Come Dine With Me is always good for a chuckle. No, we used to have two Bengal cats, but the last (Jack) passed away last year and we have not found a place in our hearts to replace him. If they were still with us then they would be a total hindrance to any creative process! I can’t really say I have a favourite author. I pretty much read anything that comes my way. I ought really to have more time than ever to read but somehow seem to have less time than ever, I quick glance at my book shelf in the spare room shows that most of the books that I hang onto are either related to travel; autobiographies of motorcycle racers or motorcycle related books. 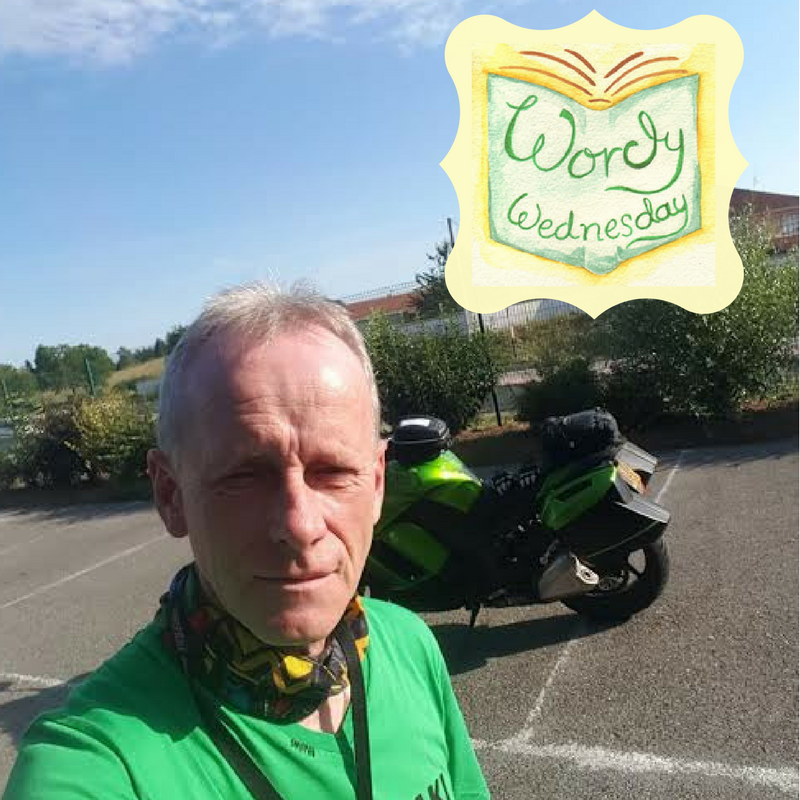 I’ve got three on the go at the moment: Guy Martins Worms to Catch, Back Roads of Spain, a travel book from the DK Eyewitness Series and Motorcycle Journeys Through the Alps by John Hermann. In the ‘spare room’ where I have a decent desk set up with my PC and with space to throw my rubbish drafts into the bin (it’s a big bin). Now that is a tough question, I suppose if I was to get off the fence then I would probably go for a Jammy Dodger, but a decent Bourbon or anything covered with plain chocolate would do the trick. Hmm … I suppose Ewan McGregor, mainly because he seems a straightforward sort of guy, not full of bullsh*t, which is how I would describe myself (although others might not agree). A cat and a carrot – I sort of like the idea of a bright orange cat wandering around the house. Both are available in Kindle and paperback through the Amazon store. Thanks Tony for the answers to my often daft questions. Good luck on the travels in the future.